The biggest change in mobile marketing last year was the push notification. Sadly, many business owners couldn’t get out of their own way and have started abusing push notification with non-critical updates. It likely started out of desperation, hoping a constant barrage of info will lead to consumer action. Unfortunately, for push notification abusers that action is usually to uninstall the app. As a reminder, the best practice is to push info that is relevant to the user and focused on meeting their needs. With the combination of improved near field communications and business owners punished for push-spam (is that a new term? if so…trademark!) 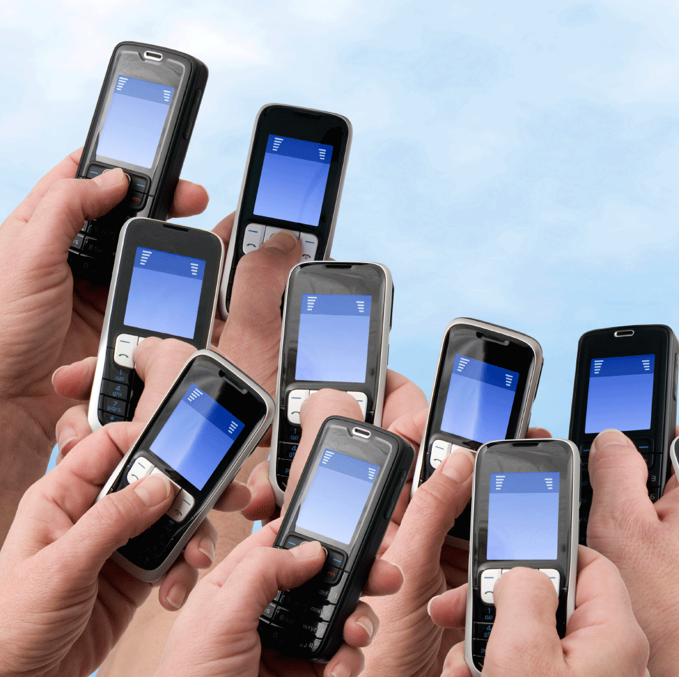 we have compiled our list of mobile marketing predictions for 2013. 2013 will see an increase in mobile coupons. For the business owner, mobile coupons are quicker, cheaper, flexible, convenient and always with your customer. Candidly speaking, doesn’t that sound like marketing perfection? With the improvement of near field communications, you can be timely as well. Imagine sending a 15 percent coupon for today’s special to one of your customers, at lunchtime when they walk within 1,000 feet of your front door. OK, now that is marketing perfection. Mobile users will demand an overhaul in loyalty marketing. For example, Denver-based Tokyo Joe’s has an addict card for loyal customers. Buy 12 entrees and the 13th is free. I carry around a punch card for what amounts to a 9 percent discount the 7th time my wife and I go to Tokyo Joe’s. What would really be beneficial is if the loyalty card was tied to my phone. It can be a Tokyo Joe’s app or an aggregator app for loyalty programs like Foursquare. Not only do I want to combine these programs, I also want to streamline my apps. For this blog, I checked the last time I opened a sample of 20 apps. Five of them were only opened once. If the app doesn’t provide me regular benefits, I’ll quickly become app-athetic. (is that a new term? if so…trademark!). The final mobile marketing prediction is a huge increase in apps adding social action widgets similar to the Facebook “like” button. Social sharing is the equivalent of electronic word of mouth marketing. As businesses get better at forging relationships with their customers in social environments, they will be able to run a sophisticated SCRM program (social customer relationship management). Let us know your mobile marketing prediction for 2013, and if you think this will be the year of fully integrated mobile marketing. Share your thoughts with us on Facebook at Weise Communications and follow @Weise_Ideas on Twitter. I just got my Android Smartphone firmware and software update to the latest Android Platform called Ice Cream Sandwich. Do you know what was the most noticeable change? Voice-activated Google. I’m serious. I can now conduct a Google search by speaking into my phone. This got me to think about the impact to SEO. Voice search is not new, iPhone 4S Siri is basically voice activated search. However, with a direct voice activated Google search, I see the popularity of voice search taking off. One of the interesting differences: when I am typing, I see projected search suggestions. That won’t happen while I am speaking. Also while typing, I am more likely to keep adding modifiers to whittle down my search results. I don’t think that will happen while I am speaking. We tend to speak naturally even when using voice activated software and that will mean a different set of search results. Also, the accuracy of uncommon searches that are spoken can be challenging. For example, I wanted to search about the General Petraeus Affair, my spoken search result was “general betray us affair.” As I think about it, the search results probably would have taken me to the same place. One other difference, voice activated users will need to see search results in a more consumer friendly format. I’ll accept fewer results but I’ll definitely need a better idea of where the results will take me. For marketers, there is one thing I see that will be very important in the future – Video Optimization. All marketers will need to pay close attention to their video descriptions and how it can be shared on social networks. Think about how the video will be searched when spoken as well as keywords for typed searches. With the number of Smartphone users growing and two of the favorite activities being watching videos and sharing them on Facebook, YouTube and Pinterest, implementing good SEO practices will reap benefits. Let us know what you think the impact of searching out loud will have on SEO. Share your thoughts with us on Facebook at Weise Communications and follow @Weise_Ideas on Twitter. What’s Easter without a little chocolate? There are few holidays that are not centered around chocolate and/or desserts, and Easter is no exception. Mars M&Ms has grasped this reality and flung it into a new mobile marketing advertising campaign to drive sales for the coming holiday. The M&M mobile ads capture attention with phrases such as, “Make every basket complete. M&M chocolates for Easter,” according to Mobile Marketer. Once they tap on the ad, users are educated on how to incorporate the candies into their Easter dessert recipes. It drives the consumer to a mobile microsite where they are greeted by the infamous M&M characters and step-by-step recipes. The brilliance of the mobile marketing is its capability to drive on impulse. People who receive the ad when they are already out and about have it fresh in their mind that they should not only buy the candy, but they should do so because they have a recipe that they need it for; making the purchase a necessity, not just a desire. Next to Valentines Day, Easter is the biggest chocolate buying holiday, and these ‘virtual end caps’ are a bright idea for the spring season. What recipe will you make with the pastel M&M candies? Give in, it’s Easter. The possibilities seemed limitless. QR codes allow consumers with mobile devices to access great content, in-depth information and a higher level of engagement. Yet, companies consistently botch the execution of QR codes. Back in August of 2010, The Side Note wrote about QR codes for the first time. The inspiration for that article was a Calvin Klein billboard in New York City linked to a video that could not be aired on broadcast television in the U.S. At that time, we saw QR codes as a cutting-edge way for businesses to reach consumers. Little did we know, the Calvin Klein billboard would be one of the better executions of a QR code. It teased to create interest, it clearly identified the sponsor and it delivered content that could not be accessed in another way. Frankly, the blame for QR code failure lies with marketers. QR codes are simple to use, however the delivery of content requires more finesse and significantly better execution by marketing experts. Since consumers don’t know what the QR code does before they scan it, companies need to reward them for stepping into the unknown. These errors are frustrating because the majority of these mistakes are the marketing version of basic blocking and tackling errors in football. We’ve categorized errors into three types: stupid, lazy and ignorant. The stupid… the content linked to the QR code is not optimized for a mobile device – this is forehead smacking stupidity. The lazy… businesses use a QR code to direct consumers to their business website – too boring, you have to include more engaging, exclusive and interesting content; Bonus error: if the website is not mobile optimized – that error is both stupid and lazy. A little more about the ignorant errors, you would assume that college students would be on the forefront of innovation. Research company Archrival surveyed 500 students at 24 colleges and universities. In the study, Archrival found that although 80 percent of the students owned a smartphone and had seen a QR code, only 21 percent were able to successfully scan the QR code used in the study. A legitimate argument can be made that preloaded software on smartphones with an easier way to scan the codes will increase understanding and if people understand it, they will use it. However, I believe that the payoff needs to be better. The content someone receives when scanning a QR code needs to deliver undeniable value. For example, give me a discount on something I want. Make something available to me because I scanned the code that others cannot get. Show me something amazing that I can’t see everywhere else. Too often the result of scanning a QR code (assuming I’m successful) is a massive letdown. Overall, the message to fellow marketing professionals is…step your game up!